If you have been charged with a misdemeanor offense and you are a veteran you have certain rights that may be afforded you. One of those rights is to be treated in the military diversion program. Penal Code section 1001.80. A defendant who is charged with any misdemeanor offense and who satisfies the admission criteria, may be placed on diversion prior to adjudication. A defendant is eligible if 1) he or she was or currently is a member of the United States Armed Military 2) The defendant may be suffering from mental health problems and other trauma including PTSD, and 3) the trauma resulted from military service, unlike Penal Code section 1170.9 , there is no formal eligibility requirement that the offense conduct resulted from the military service trauma, though such showing would be influential to the court in deciding whether a veteran should be diverted. The Judge will decide if there is an appropriate and available treatment program, and if diversion is appropriate in the interest of justice. the court will suspend criminal proceedings during the completion of the diversion program. Within two years of the grant of diversion, upon motion by the defendant demonstrating satisfactory completion of the diversion program the judge will dismiss the criminal charge. Additionally the arrest upon which the diversion was based shall be deemed to have never occured, with the exception being the application to be a peace officer, in other words if you are applying to be a peace officer in any capacity you must still disclose the arrest. If you have been arrested or are charged with a misdemeanor offense and you are a veteran you should contact an Attorney immediately to asses your rights. If you are a veteran you may have certain rights you need to be aware of when entering into a plea or otherwises being sentenced for a crime. As a Veteran myself and someone that has been helping veterans my entiere career I have the passion and experience to help veterans. Especially veterans that may be facing the effects of having serving. Many of our veterans today have served multiple deployments overseas. IF YOU ARE A VETERAN WHAT ARE YOUR RIGHTS AT SENTENCING? Subdivision (b)(1) of section 1170.9 provides that an offense committed as a result of a trauma, injuyr, or other problem stemming from service shall be considered "a factor in facor of granting probation." Thus, the defendant veteran must satisfy he nexus requirement -i.e. it must be shown that the offense resulted from a military service trauma. Subdivision (b)(2) states the court may order the person into a treatment program "for a period not to exceed that period which the defendant would have served in the state prision or county jail. ... Subdivision (e) provides that defendants committed to residential treatment programs "shall earn sentence credits for the actual time the defendant serves in residential treatment." IS PENAL CODE SECTION 1170.9 RETROACTIVE? Future legislation may take Penal Doce section 1170.9 retroactive, thereby providing more than 6,000 incarcerated veterans an oppurtunity to ask the Superior Court for a resentencing in light of trauma, injury, or other problems associated with their military service. If you or a someone you know is a veteran whose criminal act may have been the result of trauma from military service there is help in both rehabilitation and sentencing so give us a call if you have questions 559441-1418. If you are a veteran of the armed forces or are currently on active duty you may have certain rights that you are afforded under new statutes and case law that you should be aware of. These rights can help you get your life back on track and offer extensive help to people that may be affected adversely affected by there military service. As a former Army, and Army National Guard Military Policeman and Persian Gulf War Veteran I am passionat about helping Veterans. SUBDIVISION (H) (1) of section 1170.9 states "it is in the interest of Justice to restore a defendant who acquired a criminal record due to mental health disorder stemming from service in the United States Military to the community of law abididing citzens." If the court finds the defendant satisfies the criterial set forth in (h)(1)(A) through (E), the court may grant restoritive relief. (Penal Code section 1203.4 relief. (Penal Code 1170.9, subd. (h)(4)(c) through I. In other words, the veteran who recieves this relief has greater rights than a non-veteran defendant. HOW ARE VETERAN RIGHTS DIFFERENT UNDER EXPUNGEMENT STATUTES? The veteran who recieves section 1203.4 relief has greater rights than a non-veteran defendant such as the right to have the arrest record completely sealed. (Penal Code section 1170.9 subd. (h)(4) which states: A dismissal pursuant of the court, order sealing of police records of the arrest and court records of the dismissal action, thereafter only viewable by the public only in accordance with a court order.) this is great benefit for veterans that may be dealing with some of the problems associated with there mililtary service. Such as ptsd and some of the problems associated with that disorder. If you are a veteran you should call us so that we can start to get some of the documentation you will need to start to take advantage of some of the changes in the law which could help you to turn you life around. 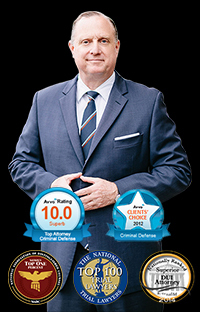 If you have been arrested for a crime you should call experienced cousel as soon as possible. As an Attorney with more 15 years of experience I have the knowlge of both the local courts and the courts in Fresno in particular. below I will be going through some of the changes to bail that has occured recently which could impact your ability to gain your freedom while you are awaiting charges. the decision holds that bail schedules may not be rigidly followed "wihtout consideration of a defendant's ability to pay, as well as other individualized factors bearing upon his or her dangerousness and/or flight risk." Once a court determines the defendant does not need to be detained for public or victim safety reasons and the defendant should be released on bail, "the important financial inquiry is not the amount prescribed by the bail schedule but the amount necessary to secure the defendant's appearance at trial or a court -ordered hearing." 2. Does the Defendant pose a flight risk. Only after this analysis has been completed does the court then go further for example if the defendant does not pose a risk to the community and flight risk and says he is not a flight risk and does not pose a risk to the community does the court then have to consider the other factors. The court must first determine the defendant should be released on bail then the important financial inquiry would be how much bail would be necessary to secure the defendant's appearance at trial or a court-ordered hearing. Before this case the court would have been restrained by the bail schedule now the court could determine that the person is not a danger or a flight risk and then make a determination as to the amount needed to secure the defendant's appearance in court. And the court would not have to follow any kind of bail schedule. Some courts have required that the defendant submit a declaration stating that they cannot afford the amount of bail on the bail schedule. Although this could just be a local or court rule rather than a requirement of the case law. In bail hearings we always argue the above factors danger to the community and the flight risk. This law does not change the pre-trial release or or or releas on own recognizance, law. Which means that many people who cannot afford bail in Fresno County were being releases on pre-trial releas or or. Especially if they met the above requirments. If you or a loved one has been arrested or soon will be give us a call so we can go over your options. Many people call my office regarding traffic tickets collisions and other related traffic questions. Below I will answer some of those questions and even how you can avoid some of these offenses. If after reading this article you have any questions do not hesitate to give us a call. 559 441-1418. If you get a traffic offense or are involved in an "at fault accident" you could increase your chances of having your license suspended or revoked. WHAT IS A POINT AND HOW DOES IT AFFECT ME? Tickets and accidents are assigned points. Each incident is assigned a point. Depending on the type of traffic ticket, you can get from 1-2 points for a traffic ticket 1 point for an accident. If you get a ticket for speeding, running a red light, making an unsafe lane change, or having an at fault accident, a point will be placed on your driving record. If you are convicted for reckless driving, hit and run, driving under the influence of alcohol/drugs, or driving while suspended or revoked, you will recieve two points on your driving record. DMV keeps a record of all traffic convictions and accidentss. Each traffic violation and/ or accident is assigned a point on your driving record. Your driving record is public information and anyone even a parent or guardian if you are underage can look up your driving record. All they need is to submit a form and pay the applicable fee. WHAT IF YOU ARE A MINOR WITH A PROVISIONAL LICENSE? If you have one at fault accident or conviction within 12 months, the DMV will send you a warning letter. After a second at fault accident conviction (or a combination of both) within 12 months, you cannot drive for 30 days unless accompanied by your parent or other licensed adult who is at least 25 years of age. After a third "at fault" accident or conviction (or any combination) whithin 12 months, you will be suspended for six months and placed on probation for one year. If you are convicted of using alcohol or a controlled substance and you are between the age of 13-21, the court will tell DMV to suspend you for one year. If you don't have a drivers license yet, the court will tell the DMV to wait a year longer before you can apply for a license. You can also be required to go to a DUI program. Other stronger actions may be taken if your driving record justifies them. Remember, when your driving privilege has been suspended or revoked you may not drive in Calfornia wiht any license or permit. Adult drivers will also have there drivers privilege suspended for one year if convicted of a similiar acts of vandalism. The court will suspend, restrict, delay, or revoke, your driving privilege for one year if you are convicted of being a habitual truant from school. The length of time depends upon the severity of the offense. Most points (illegal turn etc. not making a complete stop, driving over the limit etc) and/or accidents will stay on your record for 39 months (3 years 3 months) Points for more serious offenses, such as hit-and-run or a DUI will stay on your record for 13 years. having points on your driving record affects how much you will pay for insurance and other things. If you have any questions give us a call 559441-1418. Many times I have people calling my office with a lot of misinformation about a DUI and what is commonly referred to as a "wet reckless" although there is no such term in the Calfornia Penal Code. If you have been arrested or cited for a alcohol related offense give us a call. I have been helping people for more than 14 years in these type of situations and can get you through this time. When you have been involved in an alcohol related driving offense there are many legal terms that will be thrown around. The most common terms are DUI, DWI, and "wet reckless". The term DUI stands for driving under the influence, and is interchangeable with the term DWI, which stands for driving while intoxicated. The state of California only uses the term DUI when either drug or alcohol induced driving is at issue. There is a difference between a DUI conviction and a "wet reckless conviction. The "wet reckess" charge was devised to provide an incentive for DUI defendant to enter into a plea bargain, in fact wet reckless is not something you can be arrested for. There is technically no actual law on the books that defines "wet reckless" instead 23103.5 allows a defendant to make an admission to a lesser charge of CVC 23103 driving with a notation that alcohol was involved. WHAT BENEFITS ARE THERE TO PLEADING TO A "WET RECKLESS" OVER A DUI? 1. Mandatory fines may be reduced. 2. Mandatory alcohol related classes may be reduced. 3. Jail time will likely be eliminated. This is helpful if you have a prior alcohol related driving offense. A "wet reckless" does not require mandatory jail time. 4. Some California counties mandate the installation of an ignition interlock device on your vehicle after a dui conviction and a "wet" reckless can eliminate that requirement. 5. It could be helpful in in obtaining or keeping employment. 1. Your "wet reckless" will still be reported to the DMV and the DMV will treat it the same as a DUI in terms of suspension of your drivers license. 2. The "wet reckless" will stay on your record for a period of 10 years. 3. You "wet" reckless will still be used as a prior offense for up to 10 years, the same as a DUI, if you are convicted of another alcohol related driving offense in the future. As you can see a "wet reckless will not eliminate many of the punitive requirements that accompany a DUI , but there are several reasons wha a "wet" reckless is preferrable to a DUI. The requirements or the reasons for a plea of "wet" reckless are many. There could be a weak case, or the prosecutor cannot prove what your BAC was at the time of driving. There could be other reasons. Usually we will sit down with a client and go over the facts of the case from there perspective, and then go through the case. read the calibration logs for the device used to measure the amount of alcohol in the blood. the police reports and any witness reports that we have that may contradict the officers statement. We will then go to the DMV hearing to get further informaiton regarding the case and fight the DMV portion even if we are not successful at this poin the DMV hearing will further educate us on the possible defenses for your case. Also, if you have no priors and you have a BAC that is very close the legal limit of .08 or above then you may obtain a "wet" reckless, although I have had clients come in saying different Attorneys promised they could have a case reduced, promises should not be made in criminal or for that matter any legal case all cases are different. Stay away from Attorneys that tell you promises. If you have any questions give us a call at 559-441-1418.